Flutter- the brand new open-source mobile application development SDK which is gaining the quick momentum in the app development industry. Introduced by Google, Flutter is a software used to build cross-platform applications. Considered to the primary technology to be used in Google Fuchsia application development, Flutter is compatible with any of the existing code. From the single code base, this high-performance tool penetrates great designs for both iOS and Android platform. The framework is exclusively designed to address the ability to brought to the other platform as well. It's interesting to note that like any cross-platform toolkit, even Flutter has its own substance. Why does Flutter succeed at cross-platform development? Today, the mobile application development is buzzing around cross-platform development as it holds so many advantages. This Google’s development kit - Flutter allows building 2D mobile apps. It can be utilized to develop full-featured apps With multiple support like support for cameras, geolocation, network, storage, and more. Well, the use cases of the toolkit are not so much, however they are impressive. Google has practiced flutter to create AdWord- an app that manages advertisers and tracks ad buyers information. Further, Alibaba app is developed using the respective toolkit. Hamilton is also build using Flutter - the app features daily lotteries, exclusive news and videos, and a trivia game and merchandise store. Other apps like Coach Yourself- a medication app, Abbey Roads Studios Topline apps, and Amployee - an employ advocacy app is built using flutter, however, these are not so popular. It is one great thing about Flutter, as the developers have access to see all the changes made to the code right away in the app. Therefore, no long time is required to amend or fix the fault. The teams can quickly add new features, fix bugs, and experiment. Hot reload enables excellent collaboration between developers and designers enabling them to improve how the app looks and examine consequences immediately. Every coin has two faces, thus, we cannot overlook the hot reloading, limitation. With native app development, the developers have to wait up to several minutes to view every modification made. 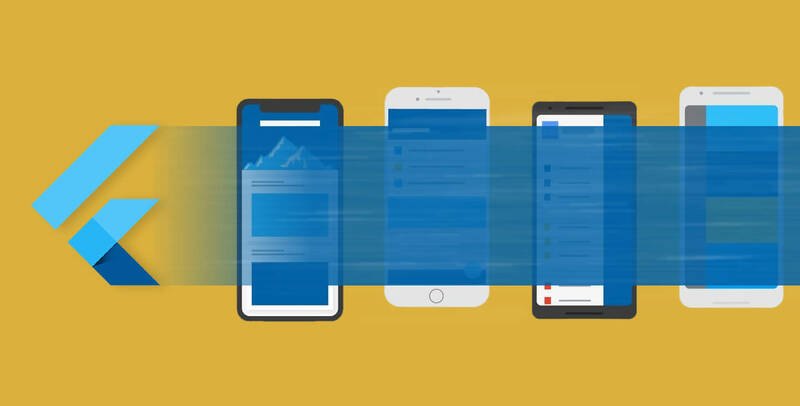 Flutter empowers with cross-platform development, no requirement for separate code-base. Besides, it delivers a start on developing for the Fuchsia platform. (Fuchsia - an experimental operating system in development at Google). It is considered as the future replacement for Android. Flutter mobile application can be built quickly, in case urgently client showcase is required, (that looks native on both Android and iOS). Thus, a clear idea of what MVP looks will help clients in taking better decision. Developing two separate apps can take extra time and money. Dart is object-oriented and strongly typed - is the flutter's programming language. Flutter relates React Native, and its programming technique is reactive and declarative. Flutter updates app startup times and overall execution because of Ahead-of-Time, or AOT, compilation. It also makes use of Just-in-Time, or JIT, compilation - which enhances the development workflow supporting hot reload capability to refresh the UI during development. This does not need an entirely new build. Thus, it means less code, and as the code is the chances for bugs is also reduced. With Dart, 100% of the code is normally bestowed between iOS and Android apps. Flutter has a full set of widgets in Google’s Material Design and Cupertino pack in Apple. Widget rendering occurs instantly in the Skia engine without using Original Equipment Manufacturer widgets. This ensures a smoother UI experience compared with other cross-platform frameworks. Flutter is Google’s initiative - thus owes strong support from the Material Design team and a community of over 1000 developers. It provides easy to set up and start coding on low-end machines. Flutter doesn’t require a robust machine to handle its OS. Being a technology first Application Development Company - we practice the most updated technique to deliver a unified experience, reducing the time and effort, leveraging Flutter and reduce the risk of errors. Are you looking to build an app with Google’s new toolkit? Fill in the given below form with detailed specification - we’ll make sure that Cross-platform Development goes smoothly for your business, because we work with the client, not for the client.